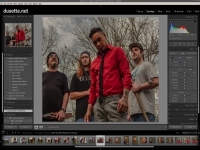 Adobe Photoshop Lightroom 5 - Supported software - PlayOnLinux - Run your Windows applications on Linux easily! THIS SHOULD WORK WITH THE ADOBE CC VERSION OF LIGHTROOM, AS WELL. IMPORTANT: This program does NOT work well with most Intel graphics. It WILL crash. Nvidia and AMD proprietary drivers should be used. 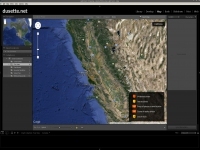 "Essential software for extraordinary photography. 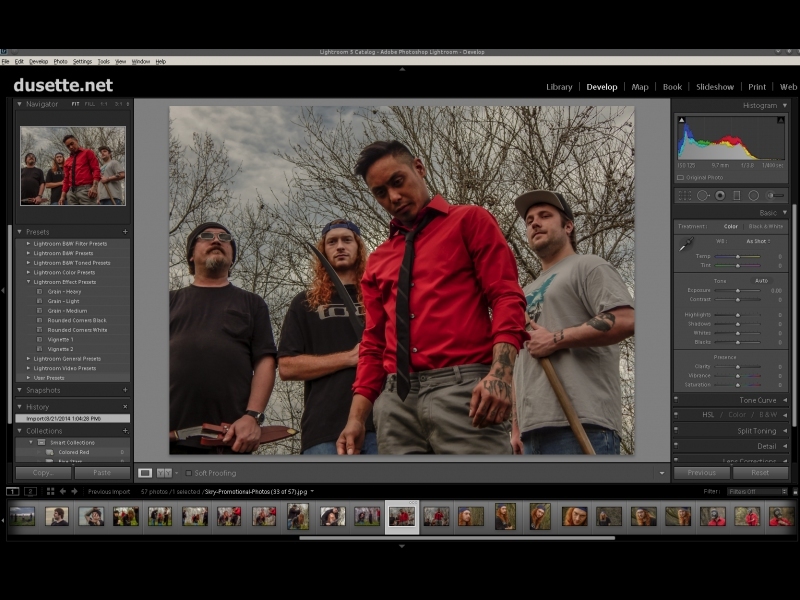 Lightroom 5 makes digital photography easier, faster, and more amazing. 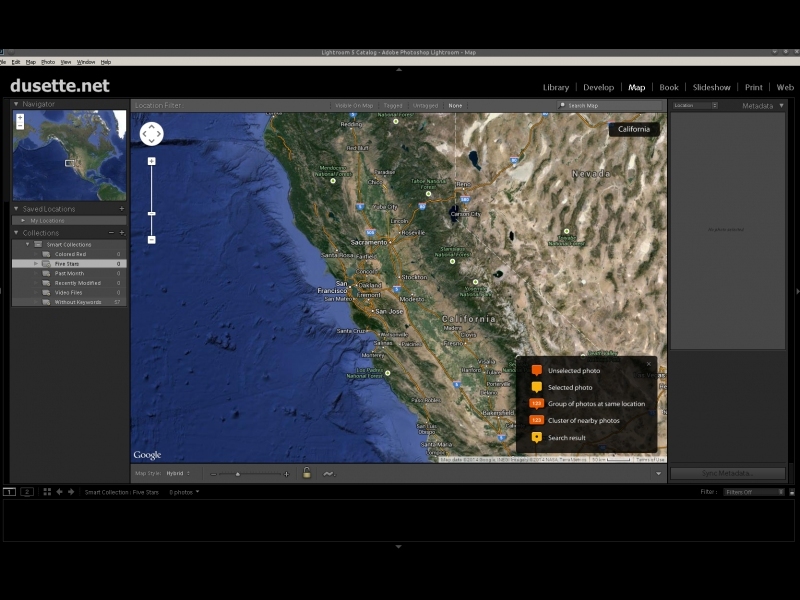 Experiment without limits in a nondestructive editing environment. Perfect your shots with advanced controls for tone, contrast, color, and more. 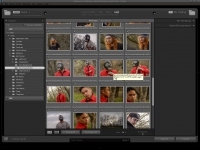 Efficiently organize all your photos and share them almost anywhere." POL_SetupWindow_message "$(eval_gettext 'IMPORTANT: This program may NOT work well with most Intel graphics. Nvidia and AMD proprietary drivers are REQUIRED in most cases. Needs sRGB color profile for images to be visible. Copy sRGB.icm (comes with some native Linux software, such as GraphicsMagick) to "~/.PlayOnLinux/wineprefix/$PREFIX/drive_c/windows/system32/spool/drivers/color/sRGB Color Space Profile.icm". Or if you have winetricks installed you can run "env WINEPREFIX=~/.PlayOnLinux/wineprefix/$PREFIX winetricks colorprofile"')" "$TITLE"
POL_SetupWindow_message "$(eval_gettext 'PlayOnLinux will now install a few required programs, including IE6. Just click NEXT through IE install, as you usually would.')" "$TITLE"
I've recently updated ubuntu from 16.04 to 18.04. In the previous version I installed Lightroom 5 32bit succesfully. When I try to install Lightroom 6.0 through Playonlinux, I get an Adobe message saying : "The installation failed. This product can be installed on a 64 bits system only", while it's the 64 bits version of Ubuntu that I use. Which has worked well, mobile sync is about the only thing I've found so far that isn't working (after getting the Flickr plugin (http://regex.info/blog/lightroom-goodies/flickr) to fix Flickr non-login. This program now runs well. But then I tried to run English LR 5.7.1 on Ubuntu 14.04 (Xubuntu 16.04) LTS 64-bit with russian localisation, I receive only a splashscreen and system stops. I solved this by adding command "export LC_ALL=C.UTF-8" before programm runs and now everything is OK. This problem appears on different versions of LR and different distribs of Ubuntu. I think this information could be added to programm discription, because I have no idea how to modify PlayOnLinux script. Some improvements, fixes and additional information for better start the program. PS Lightroom runs well on Intel graphics, that's why I made little change in "important" notice. -POL_SetupWindow_message "$(eval_gettext 'IMPORTANT: This program does NOT work well with most Intel graphics. It WILL crash. Nvidia and AMD proprietary drivers are REQUIRED in most cases.')" "$TITLE"
+POL_SetupWindow_message "$(eval_gettext 'IMPORTANT: This program may NOT work well with most Intel graphics. Nvidia and AMD proprietary drivers are REQUIRED in most cases. +Needs sRGB color profile for images to be visible. Copy sRGB.icm (comes with some native Linux software, such as GraphicsMagick) to "~/.PlayOnLinux/wineprefix/$PREFIX/drive_c/windows/system32/spool/drivers/color/sRGB Color Space Profile.icm". +Or if you have winetricks installed you can run "env WINEPREFIX=~/.PlayOnLinux/wineprefix/$PREFIX winetricks colorprofile"')" "$TITLE"
Hello! Where can i use this script in PoL? Found. In Russian it is "??????? - ????????? ????????? ????????" alors que la meme version de ce logiciel sous windows il et bien reconnu, du coup l'accélération graphique ne s'active pas. while the same version of the software under Windows it and much recognized, suddenly graphics acceleration is not activated. I've installed Lightroom 5.7 under playonlinux and, really, runs quite good. I've only have seen a couple of issues. a. If I try to use export images with plugins like "Flickr" or "Picasa Uploader" the software reports no internet connection available. Even with a simple account authoritation. b. I loose the image when I try to crop it and, in develop mode, I only can edit images if I click "screen test" mode. I've seen in old posts that this problem could be fixed importing a color profile, but I have not understood how to achieve that. Thx in advance and king regards for all! What's with Lightroom 6? Did somebody try? The POL installer fails due to a crc mismatch when downloading resource http://download.microsoft.com/download/5/0/c/50c42d0e-07a8-4a2b-befb-1a403bd0df96/IE5.01sp4-KB871260-Windows2000sp4-x86-ENU.exe. Might need to find a new source for that file. Looks like Microsoft has removed the links/files to the older files for unsupported versions of Windows. I did find an alternate download for that file, but I'm not sure how go about using it instead of the file POL is trying to access that's no longer there. Its not a priority at the moment, but I did want you to be aware. For sure. So, I am available to make that change right now, so if you get me the direct download link, I will correct it. Is that a stable place to host that file? Also, is it legal for them to offer that file for download? I only ask because most MS packages like that are not freely distributable, if I am not mistaken. 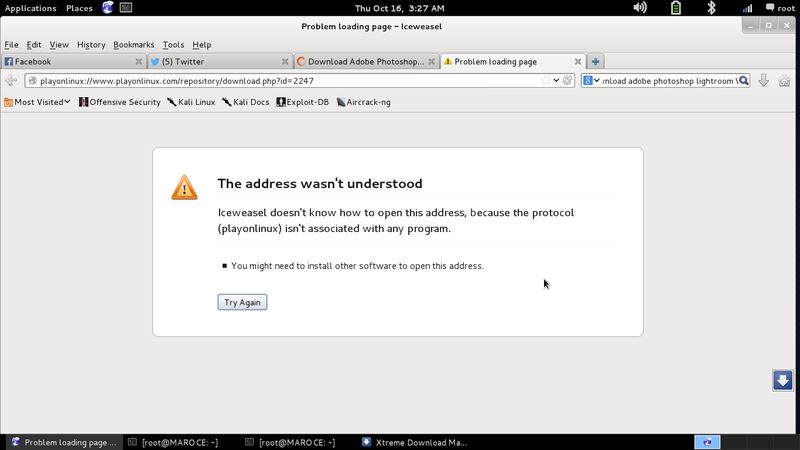 Even if it's a free download, their license may not allow for 3rd party hosting of their distributables. I haven't checkes the license for that, but we should double check if you could. I've looked for other places, but its the only spot I could find it already hosted. I'm trying to look into the legality of 3rd party hosting the file. If we are not able to use it then the script will need to be changed to ask for the file location on the users hard drive leaving it up to the user to find and download the file themselves. That's not graceful, and that package is needed by a lot of scripts. MS has to have it hosted somewhere. I'll look into it this weekend and see what I can figure out. Recently many OLD support files where dropped from the Microsoft site. Some can be found via the web archive or mirror sites. winetricks is obviously having the same issue regarding dropped support files from the MS site. There solution was using the web archive as a backup down, but still not sure of the legalities of that. Word. I'll get it straightened out when I have a moment. I'm not a lawyer, but as I see it as long as your not the one hosting the file(s) I don't see a legal issue for POL. Yeah, but that could also mean that no server will ever be reliable like theirs because they could shut it down, meaning we have to switch the download link often. I'm not able to troubleshoot it at the moment, but when I can I will see if there is some way to get around it. I'm sure everyone is open to solutions, though. We just need something graceful, solid, and legal. works well with Lightroom 5.7 (32bit) on Linux Mint 17.3 with a Intel Core i5 2500K with onboard graphics. Had to add a color profile in Colors/Farbe > My monitor to see anything while cropping. Only crash so far is the catalog chooser. Can be prevented by not clicking in the pre populated catalog list but choosing manually with "other location". Some graphic glitches here and there, but no show stopper. Is there any chance to add Quicktime to the install script for having video support, too? The separate QuickTime POL install is not recognized by LR. The POL installer fails due to a crc mismatch when downloading resource http://download.microsoft.com/download/5/0/c/50c42d0e-07a8-4a2b-befb-1a403bd0df96/IE5.01sp4-KB871260-Windows2000sp4-x86-ENU.exe. How did you get around that? This was back in March when this user posted. I'll try to figure out a solution. Hope this helps. If not, a more traditional configuration with an HD attached to the main workstation, and then just backing up to the NAS (network access is far slower than direct HD access anyway, so you may see better results), though it just depends on your situation. If you need to run it off a NAS, and cannot get it mounted and used via Wine, then Windows may be the only solution for the time being, besides switching storage mediums. Should this still work? I could only get the 64 bit versions of Lightroom at Creative Cloud, and the Wine version seems to be a 32 bit install...? Yeah. When I wrote this, I didn't realise that CC was 64-bit only, so it won't work. CS6 does actually work well. I've just tried to install it on a ubuntu box. I was using the LR5.7 installation file, but it works anyway. I would like to notify that POL_Install_ie6 was not working giving me some problems with the installation of the kb871260 patch. I've changed the script to POL_Install_ie8 and everything went good untill the end. POL_SetupWindow_message "$(eval_gettext 'IMPORTANT: This program does NOT work well with most Intel graphics. It WILL crash. Nvidia and AMD proprietary drivers are REQUIRED in most cases.')" "$TITLE"
Don't change the script. ie6 works fine. Don't install updates or patches. Just let it install ie6 itself, and that is it. I know it gives an option to run updates, but just don't. They are not needed. It should install fine after that. +POL_SetupWindow_message "$(eval_gettext 'IMPORTANT: This program does NOT work well with most Intel graphics. It WILL crash. Nvidia and AMD proprietary drivers are REQUIRED in most cases.')" "$TITLE"
+POL_SetupWindow_message "$(eval_gettext 'PlayOnLinux will now install a few required programs, including IE6. Just click NEXT through IE install, as you usually would.')" "$TITLE"
Do you really need ie6? Yes. I was going to break it down and individually take care of all of the dll's, but it for sure needs it. There are so many things that it installs, that everything I have read and tried made me do the ie6 install. I would love to do it silently, so if you know of a better way, I am all for it. Well, considering we did a new wine-build, let me check to see if it works without it real quick. I did not have success before. brb. Yes, without IE, it crashes instantly on launching it. I can see that it is crashing and the traceback pretty much shows everything that IE installs listed. Well, a lot of them, anyway. I will see what I can do to streamline it sometime in the next day or two. Ok. I will try it and post back up with what I find. I have a problem with the development screen, the live image is not updating ( same problem is described here https://appdb.winehq.org/objectManager.php?sClass=version&iId=28669 ) . It is showing a grey image instead of the live preview. Any suggestions ? Debug output and systems specs, please. That is odd that it is doing that, as I have tried it on quite a few systems and it seems to be working fine. Post that stuff up and let's see if we can figure it out. :-) I am super glad that people found this useful. Lightroom is awesome. Also, what version of lightroom are you using? This is only for 5.4 and up, 32 bit only. I have the same problems witch my pc at home. Arch Linux 64bit (3.15.6), (Lightroom and Wine is 32bit). Live Image is not updating. If you have any suggestion, I try it and give you a feedback. IRC maybe? I wonder if there is a way to detect the presence of a colour profile (or rather, the need for a colour profile), to automatically do this? It seems system/setup-dependant, because, again, I have not run into this personally, but it is not unheard of with Lightroom 5 and Wine. I think, if a full blow DE is used (Gnome, KDE), there is a color profile manager and a color daemon, and mentioned here ( https://appdb.winehq.org/objectManager.php?sClass=version&iId=28669 comment "color profile") it is working with a selected color profile. I do not have a DE, I use i3wm and have "colord" to start my monitor profile. It seems not to be sufficent for LR5 :D , maybe you should copy the srgb...icm file always instead of checking if the file is needed. Well, it would make no sense to just always throw it in there. Over 800+ uses of this script, and you are the only one that reported it, plus I have tested it multiple times on multiple systems, and this is not needed. Yes, they are KDE, but I would be weary to just toss it in there, and possibly cripple and otherwise fine installation. It is simply bad form to install something without actually knowing whether or not you need it, plus scripting a check shouldn't that hard. Even then, I would need to see this issue actually reported more before changing anything, because with over 800 uses and only this report of issues, it to be working fine without that. Most people run DE's anyway, so yeah. No to always just installing it, but I would still like to figure out a check to see if it is needed. Worse-case scenario, I will put a note at the end of the installer mentioning this issue and the fix. No problem. I will start with a note in the script (I will add that later today after I get some work done), and if I can find a way to check for the need for a color profile, I am sure I can at least rig some sort of function to do that or at least alert the user. Hi! Many Thanks for this installer! And do export LC_ALL=C before installation. Because without this Lightroom launches but hangs at splashscreen with 1 CPU loaded at 100%. My default locale is "uk_UA.UTF-8". Forget to say. I have Mobility Radeon HD5650 and using opensource driver. Seems like it works fine. Without sRGB Color Space Profile.icm Lightroom show me only gray rectangles instead of photo pictures. Yeah. That happens only with a couple of DE's. What distro are you running? I use Ubuntu 12.04 with xfce 4.10. Maybe KDE have color profile somewhere, where wine can find it and use it with Lightroom? Maybe. I am not sure. I need to figure out a way to check if it is needed, and then I can script it. I just don't want to throw it in all of the time, especially if it is not needed. That is just bad practice. If I knew of a way to check to see if the color profile being missing would cause a problem, then I will automate that and make it a non-issue. I can send my wine logs, and maube you can found a difference, and figure out why icm is needed for my system? If you want my logs, say what debug level I have to select, and where to send it. It won't say in there. I am working on it. I will have it corrected soon. You are not the only one with this issue. I just need to isolate the systems that need it and write some conditionals in the script. Sit tight. I will have it fixed this week for sure. But now it's working very strange. 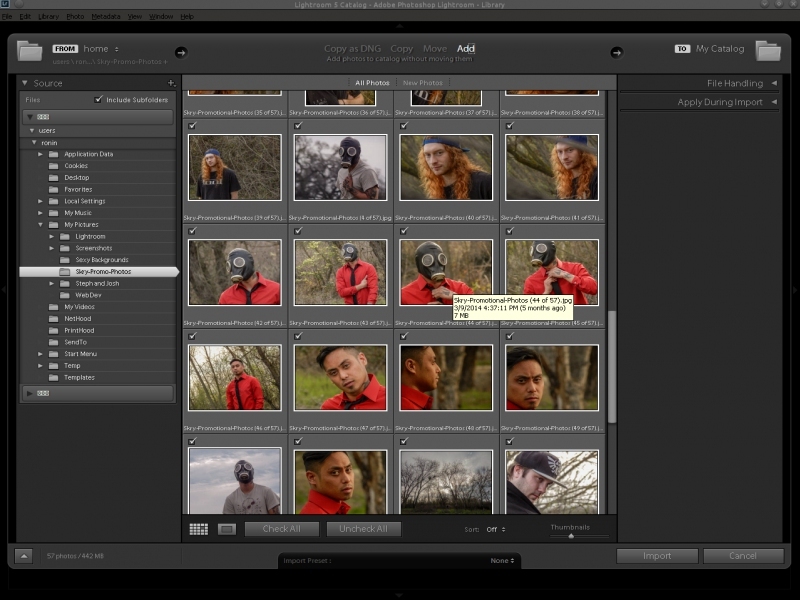 After removing icm Lightroom shows pictures, but I can't edit. And can't see detailed 100% zoom, only smooth zoom w/o details. Well, like I said, you need it because of your distro. That is something that cannot be helped. But as along as I can write something to check to see if it is needed, this won't be an issue. Thanks for posting that. Can you explain, where is trouble with my distro? I want to know, maybe I can fix it to avoid same errors in the future? Thanks for the icm fix info Dr. Fail. On my Fedora 23 install first launch failed. Once I copied in the sRGB.icc it started working! For what's worth the command used was "cp /usr/share/color/icc/colord/sRGB.icc ~/PlayOnLinux\'s\ virtual\ drives/Lightroom54/drive_c/windows/system32/spool/drivers/color"